MnROAD pavement engineer Len Palek. 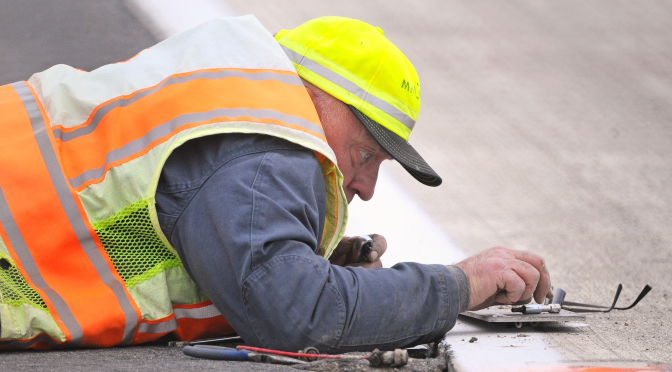 Road Research is part of MnDOT's Office of Materials and Road Research. Our products and services help advance the state of the practice of pavement design, construction and maintenance by conducting and participating in pavement and materials research projects, implementation of research results, and supporting practitioners. We invite you to explore our research and testing facilities. MnROAD, our cold weather pavement testing center, works in conjunction with MnDOT's Material Lab located in Maplewood, Minnesota. Search our entire list of publications.